There’s a lot of things that are great, but the feeling of your face after you peel or rinse off a face mask is probably on my list as one of the greatest feelings in life. A lot of people have been asking me about face masks and their benefits. Face masks do have a lot of benefits, but the most common question I get is: “how do you know what type of face mask is right for my skin.” This is a great question that I think everyone should know the answer to. One of the most universal face masks for almost every type of skin is a coffee ground face mask. I will share with you the recipe and directions in this post a long with some helpful tips to understand face masks better. 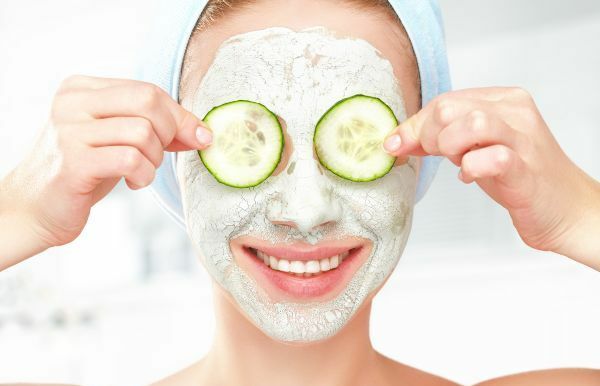 What Are The Benefits of Face Masks? No need for a spa. A face mask is something you can make yourself and apply it in the comfort of your own home. Hydrated skin. Your skin can become very dry, especially in the winter. A face mask is a great way to give your skin a little pick me up. Beats wrinkles. Certain face masks have a ton of antioxidants and are made specifically for aging skin. Fights imperfections. 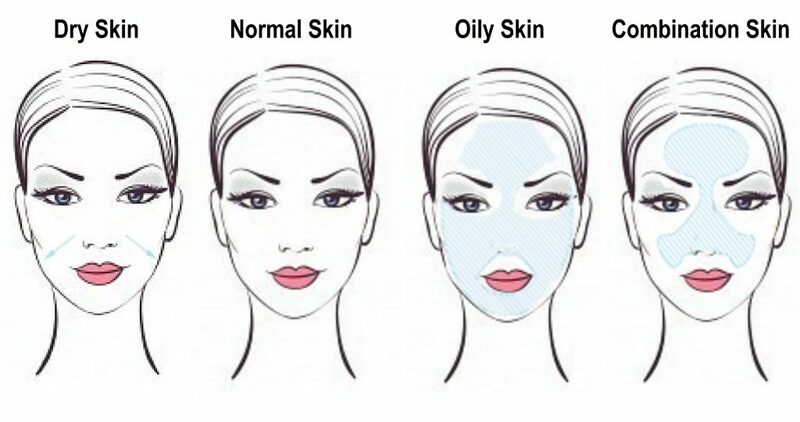 Face masks have the capability to draw out dirt and excess oils. Less stress. Face masks tend to be relaxing and is a great way to de-stress. Above are just some of the benefits of face masks. I’d encourage you to find out what your skin type is if you don’t know it and look for a face mask that would benefit you. Mix coffee grounds and dairy product together in a bowl. You can use less dairy if you like a thicker paste. Wet a washcloth and press it onto your face to loosen the mask, then rinse with warm water. I love this mask, because it’s simple and you can store the leftover mask in the fridge for several days. 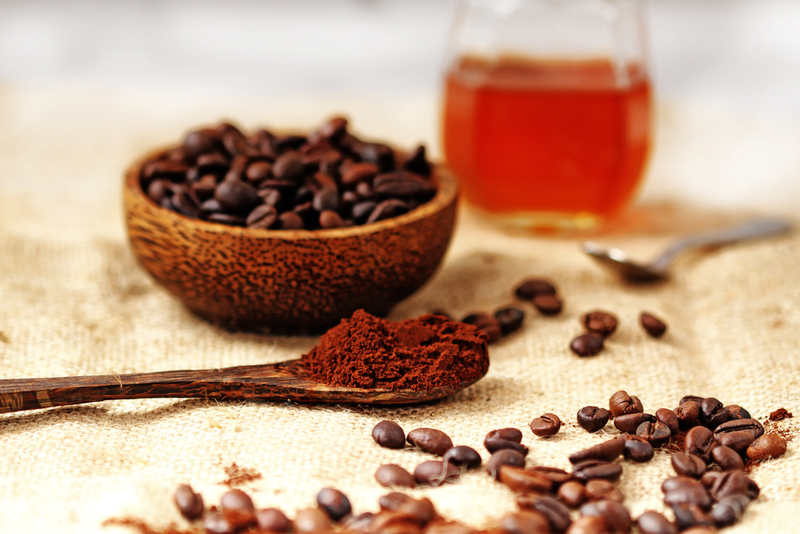 The coffee grounds rejuvenate your skin and the honey or lemon juice help balance the pH level of your skin. 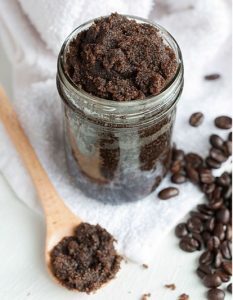 Have you tried this coffee ground face mask before or a version like it? Let me know how you liked it in a comment below! If you have any other questions about face masks or skin care in general let me know that as well with a comment. I’d be happy to answer any questions that are thrown at me!